There seems to be new discoveries in the area of anti-aging these days, and along with the preventative anti-aging measures that people should be taking, there are literally thousands of tips and tricks to look younger, for longer. But how can you sift through the wide abundance of information to find something that will hopefully do the job? Wrinkles are a key concern for the majority of older adults, especially women, so defying the signs of aging becomes of the utmost importance. Protecting and repairing your skin doesn’t need to be rocket science, and it is possible to have younger skin – starting today. 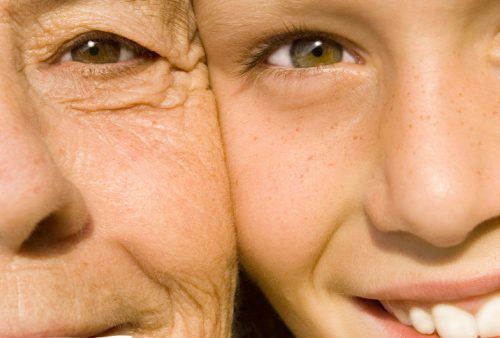 Here is a list of some of the most tried, tested and true ways to look younger, for longer. Research indicates that about 90% of the changes that your skin experiences start in your 30’s and continue well you’re your later years. Not only is this number high, but in almost all cases, this damage is caused by the sun’s UV rays. But don’t think that you need to stop protecting your skin just because you are older, too much sun can lead to skin cancer at any age. Make sure to use plenty of sunscreen, and remember that UV rays can penetrate shade, too. Smoking isn’t good for your health and it isn’t good for your appearance either. It can lead to premature aging and yellow, sallow skin. Not to mention the risk of other kinds of cancer goes off the charts with every year you smoke. Not getting enough water is a common offender in the anti-aging battle. Make sure that you drink as much water as you are able a day. 8 glasses tends to be the standard. Drinking vitamin enriched water is a common choice for many, but watch how much sugar goes into those types of drinks, too. Keeping properly hydrated is key to excellent for creating healthy younger skin. Many people think that exfoliation is one of the best renewal processes for your skin, and that very well could be true. It does have many benefits when it comes to the shedding of the top layer of skin, it can unclog pores and make skin accept the moisturizer you use easier as well. However, be aware that scrubbing away at your skin can also make you more open to potential for sun damage, as well. Doing too much exfoliating can leave your skin red and raw, which is certainly no good for it at all. With a little tender loving care, the anti-aging battle can be won. But there are skin offenders that you need to avoid, and a combination of these offenders can be particularly damaging.